Join as we take a look at the Romanian leu. 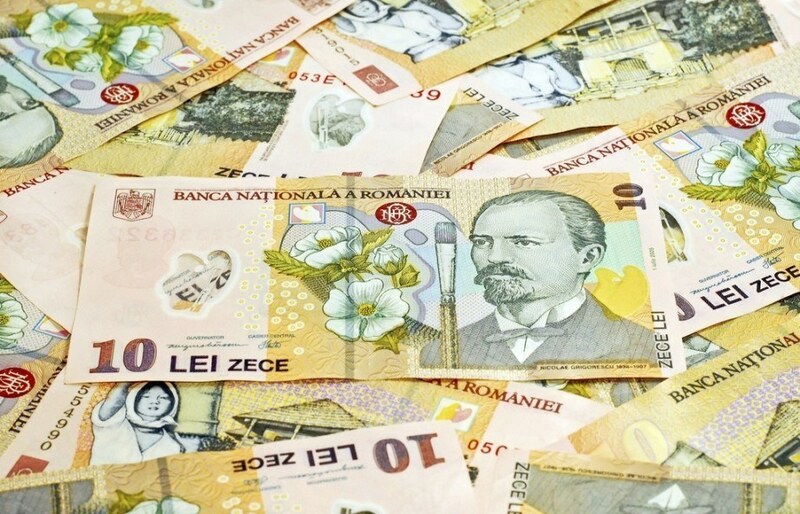 Despite being a member of the EU, the leu is likely to remain the currency of choice in Romania for next few years. There have been four different iterations of the leu since the mid 19th century. The first was replaced (without warning we might add) in 1947 at a value of 1 new to 20,000 old. The second lasted only until 1952, when it too was replaced (once again, without prior warning) at varying values depending on the type of exchange. A measure of stability was achieved until the third leu was replaced in 2005 at a value of 1 new to 10,000 old. While it took a while for the change to fully take hold (prices would be quoted at both new or old for around a year), the revaluation brought the leu closer in line with most of the currencies of nearby countries. As a member of the EU, Romania is obligated to adopt the euro, though this is not suspected to happen until 2020 at the earliest. The current series of coins was introduced in 2005 (the year of the fourth leu), though the 50 b coin has seen numerous iterations since then. 50 b (2015) Value, “ROMANIA”, year of issue “2015”, Coat of arms, in the background a continuous five row inscription of the text: “BNR50” The Old Palace of the Romanian National Bank, the inscriptions “10 ANI”, “DENOMINAREA MONEDEI NATIONALE” and “2005” the year of the denomination. The current series of banknotes were mostly introduced in 2005, though some versions came a few years later. Since the introduction of the new RON in 2005, the value has remained around the 3 RON to 1 USD mark +/- 0.5 RON. Since 2008 however, the value has fallen relative the USD, with a few short periods of resurgence. More recently, the value of the RON has fallen, and currently sits at or around the 4 RON to 1 USD mark. Romania is considered an upper-middle income economy, although it is not one of the largest in the EU (sitting at 17th). That being said, the 2000’s saw rapid economic growth (much higher than the EU average). Though this has been stunted of late, it retains a positive outlook since weathering a GDP shrinkage following the Global Financial Crisis. The country is considered a potentially powerful economic force in the region, and has even been called the “Tiger of the East” during the past decade. Vast amounts of arable land, energy resources (including oil, coal, and more), and remnants of a strong manufacturing industry are all boons to the Romanian economy. While the financial crisis of the late 2000’s impacted the country’s economy severely, the ship seems to have been righted and is sailing along at a steady, if slightly diminished pace. Whether you need to buy Romanian leu or any of over 160 different other currencies, we’ve got you covered at your nearest Continental branch! You can also order a large selection of currencies online for pickup or delivery with FXtoGO! And don’t forget track the exchange rate of your favourite currency with Rate Watch. For a broader understanding of Romanian history and culture check out our Country of the Week profile. For information about traveling to Romania then be sure to follow our Travel Guide.